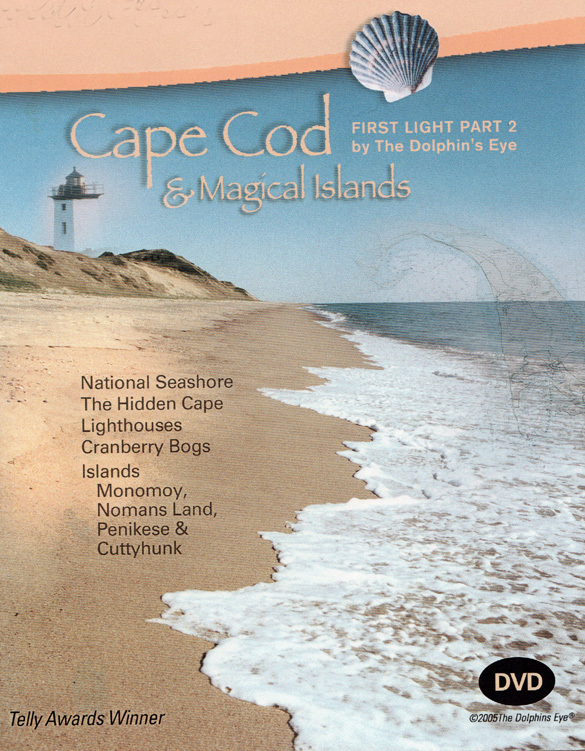 Cape Cod National Seashore's beautiful beaches, dunes and lighthouses are captured in stunning video sequences. This Cape Cod sojourn begins in a cedar swamp. These swamps are the mothers of cranberry bogs. as he shows you the secrets of both dry and wet harvesting. but has an innocence reminiscent of the Galapagos Islands with its seals and solitude. Chatham Light and its surrounding shoals begin the journey around Cape Cod. and finally across to Provincetown at low tide and sunset. The scenes of dunes, beaches, and waves capture the timeless boundary between sand and sea. as the journey continues around the Cape to Great Island, Quivett Neck and Quisset Knob. the viewer visits Penikese, Cuttyhunk and Nomans Land Island by Martha's Vineyard. Naturalist Bud Olivera tells of Nomans past and use as a bombing range. recounts stories of students, lepers, and the island’s connection to the explorers of the1600s. Cuttyhunk Island is the last of The Elizabeth Islands. as you see the dancing trees of Cuttyhunk and its forgotten beaches. and the striped bass who have been a part of his life. has been a favorite destination for generations of sailors. Please do not send credit card information via e-mail. Massachusetts coast stars in "artumentaries"
a video company that specializes in New England images. Unlike other nature documentarians, however, Holzerand his crew take it one step further. Holzer calls his work "artumentaries" and, for once, that's an accurate description of what they are. the beauty that makes the seashore so special. and First Light Part 2, Cape Cod and Magical Islands. I especially enjoyed First Light Part 1,Martha's Vineyard. The entire program was truly marvelous. The videography of the selected subjects was splendid. I was captivated by the Wampanoag's spirituality and insights on our relationship with the land. I loved the choice of musical background. It blends nicely, with a moving effect in an appropriate and unobtrusive manner. The entire show was tremendously beautiful. These videos would make a great gift. How can I get a copy?